This group of grade 9 students put together a bake sale they held at the recent Voices of the Armistice Opera Night. 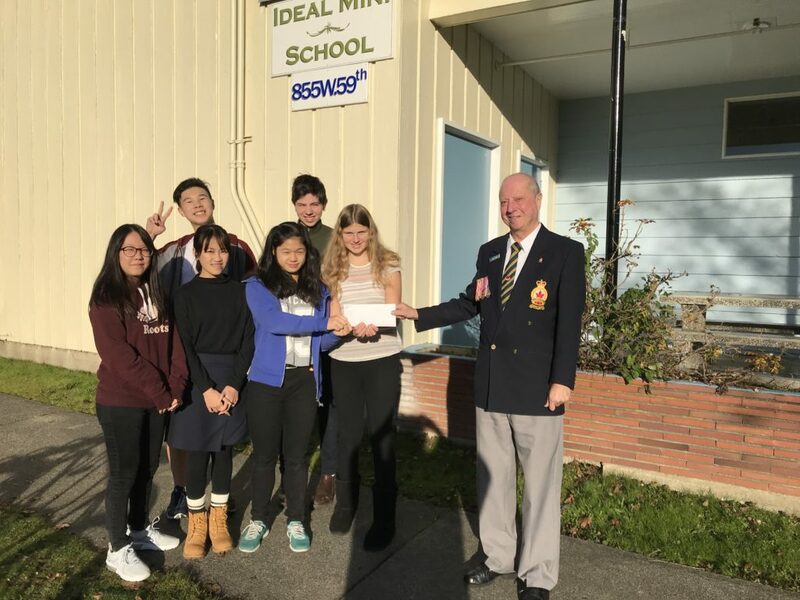 In the end they raised $255.95 for the Vancouver Poppy Fund. On Tuesday Ron Funnell from the Poppy Fund came by to Ideal to receive the cheque. Great work Amber, Ana, Dash, Kimmy, Elijah, Khloe.